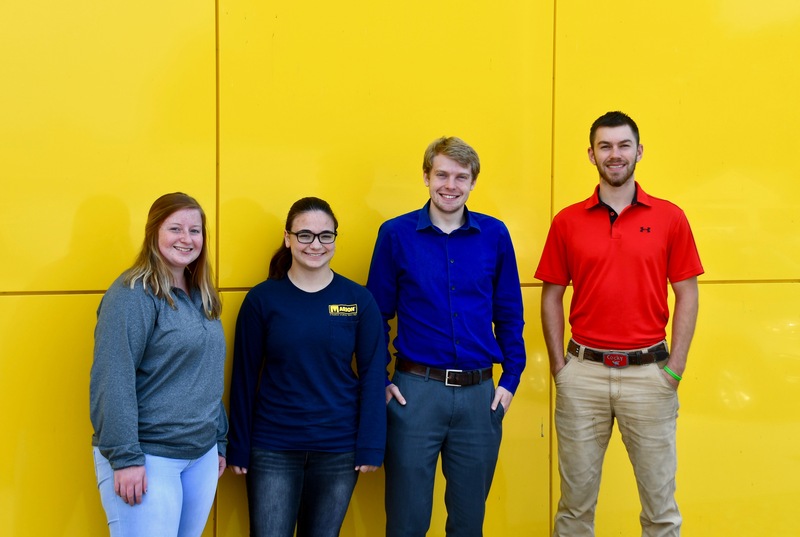 Pictured above (left to right): Alyssa Krueger, Bridget Streicher, Jarren Vanman, and Casey Clark. Marion Body Works is wishing the best to their group of summer interns as they head back to college in the upcoming weeks. Every year Marion provides the opportunity for a select group of interns to gain experience in the workplace geared towards their degree. The group was spread across different departments including human resources, engineering, and IT. Alyssa Krueger - 1st year student at NWTC - Green Bay pursuing radiography. Bridget Streicher - 1st year student at Michigan Technological University studying applied mathematics and mechanical engineering. Steven Papendorf - 3rd year student at Caroll University pursuing a degree in information technologies. Casey Clark - 4th year student at UW-Platteville majoring in mechanical engineering. Jarren Vanman - 4th year student at UW-Platteville majoring in mechanical engineering.